Has your Memorex DVD lost your memories? Our friendly team is happy to help recover your video footage and movies from this dvd disc. Memorex dvdram minidvdr mini-dvdrw minidvd minidvdram discs. We often recover from Memorex disks used in Sony handycams (and others such as Hitachi, Canon Samsung, Hitachi, Panasonic and they have not finalised the disk. We have specialist knowledge to Finalise DVD video eg. 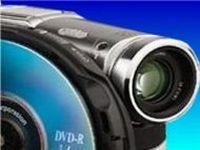 DVD Camera / Handycam / Videocam / Camcorder with problems of corrupt Memorex DVD or trouble playing mini-DVDs that occur particularly during the disk finalising process. The Camera displays disc access error message when DVD disks are not closed or non-finalised / unfinalised disc and won't play. Unlike other recovery companies we can transfer your video to be playable on stand-alone DVD players. Also CRC Cyclic Redundancy Check errors. Sometimes a DVD-RW disk will only show as being empty or Zero 0 bytes capacity, even though you can see the data is burned to the disc. We can recover your Video, Photos and Data Files from such Disks. Disc Access Error, Disk Access Error, Check disc error, Check disk, C error unreadable, disc error code 13, disk error code 1302, 13:O2 DISC ERROR, Disc Error C:13:02 message Sony mini dvd finalize error code C1302 DVD not finalised, Rec Disabled Record Disable. Memorex DVD Video Recovery Repair problems that we recover data from are listed below. memorex dvd recovery, 13:02 error, format error memorex, finalize dvd memorex, finalise memorex dvd, video recovery memorex, memorex mini-dvd finalize, problem. 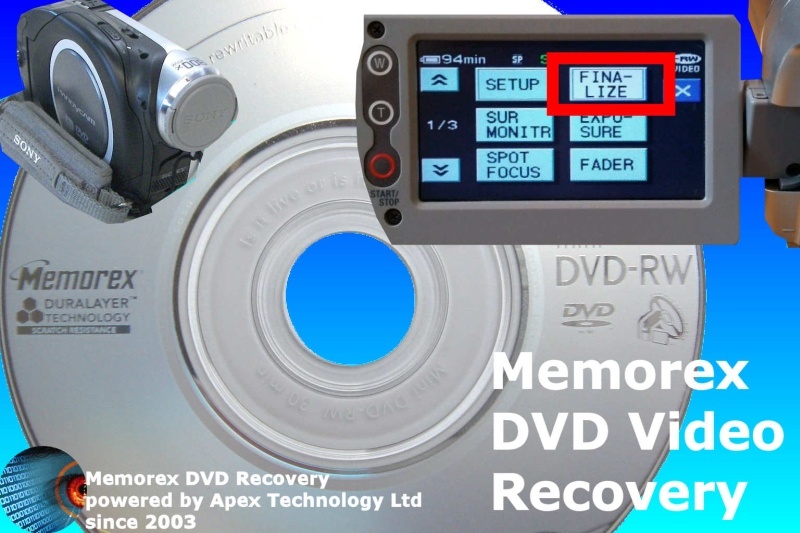 Memorex Video Recovery Repair from Memorex mini DVD with finalisation finalize finalise problem video playback problem dvd handycam camcorder 13:02 error.